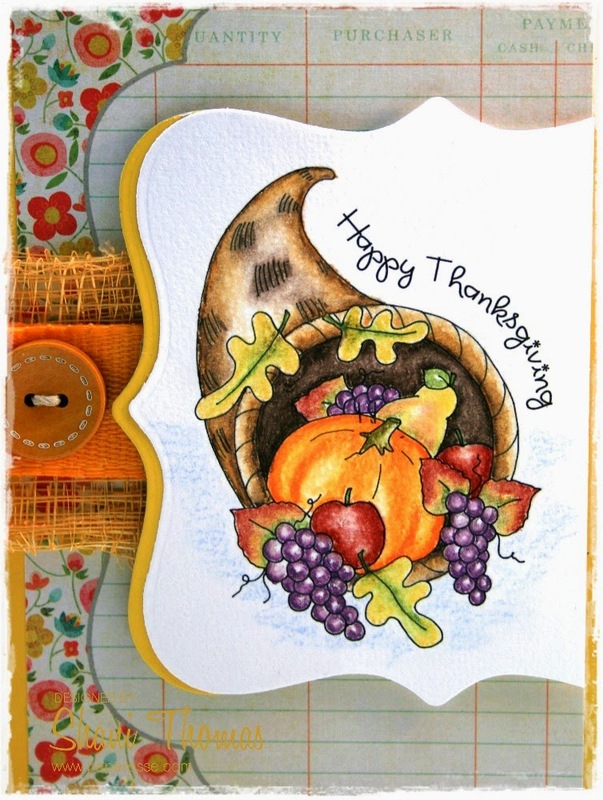 This Thanksgiving card uses a free Cornucopia digital stamp from Dearie Dolls. This is another one I've tried to keep simple and flat for mailing. I shaped the sentiment to echo the shape of the horn. Love the mix of patterns/layers. Beautiful coloring on the cornucopia. Wow! 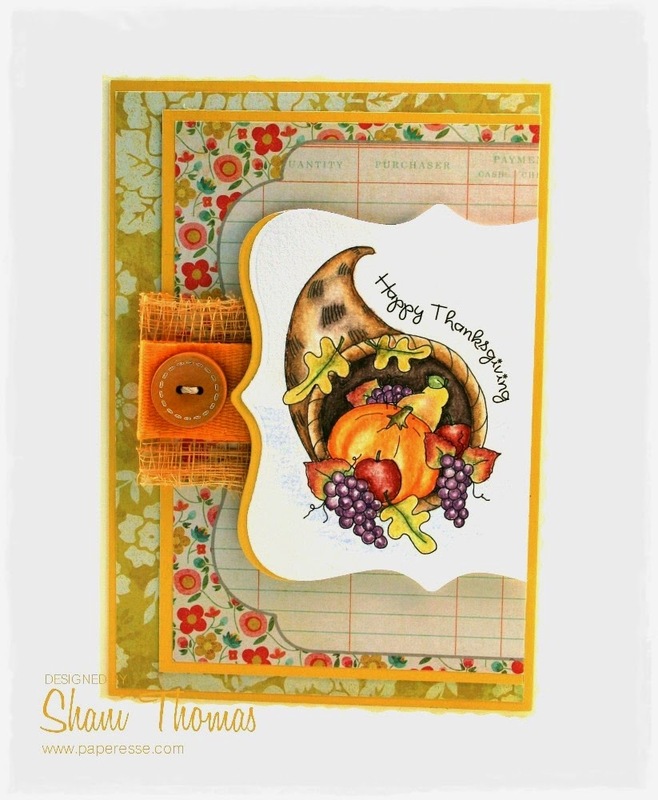 I love all the layers and shapes in this card, Shani! It's fabby!